Richard Bland College was established in 1960 by the Virginia General Assembly as a branch of the College of William and Mary. The school offers students a high-quality, two-year program and transfer agreements to almost every college and university in the state. 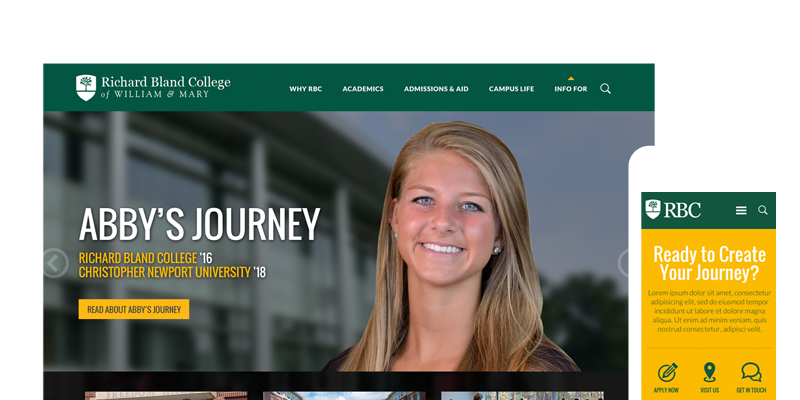 The college recognized that the website needed to be improved to connect better with prospective students. HeliumStudio was selected to overhaul the school’s website with a focus on increasing relevant applicants. Helium also provided ongoing support, social media marketing, and search marketing services. The results were far more astonishing than we expected with a 46% increase in enrollment from the previous year.